Dr. Eric Lewis strives to inspire patients to live healthier lifestyles and achieve a better quality of life both inside and out. 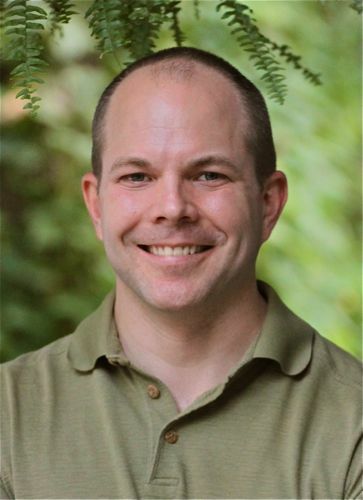 Dr. Eric Lewis is a Naturopathic Physician providing natural health care for women and men. Dr. Lewis holds a bachelor of arts in History from Emory University in Atlanta, Georgia and is an honors graduate from the Southwest College of Naturopathic Medicine in Tempe, Arizona. He is an active member of the North Carolina Association of Naturopathic Physicians and the American Association of Naturopathic Physicians. His enthusiasm for health began as a college track athlete and instructor to varsity athletes in strength and conditioning. It was here that he experienced firsthand the value of a healthy and active lifestyle. Dr. Eric’s vision is to empower people to make lifestyle choices that support and maintain a healthy body and perspective. As a naturopathic doctor he believes in education, inspiration and motivation. His goal is to activate a desire for positive change in the lives of all his patients. Dr. Lewis offers comprehensive, personalized health evaluations and customized holistic health solutions. He listens carefully and encourages patients to participate in their own natural healing. Your first visit with Dr. Eric Lewis is a detailed discussion of your health and medical history, as well as your daily routine and habits. Dr. Eric asks specific questions about health issues, goals and experiences. During your second visit Dr. Eric provides educational information and presents an individualized health plan. Holistic health plans consist of nutritional guidance, dietary supplements, healthy lifestyle changes and more. Dr. Eric Lewis lives in Asheville, North Carolina in the heart of the Blue Ridge Mountains with his wife Dr. Kristina Taylor Lewis and their 2 children. He enjoys photography, outdoor activities, the breathtaking beauty of the mountains, and being a husband and father.